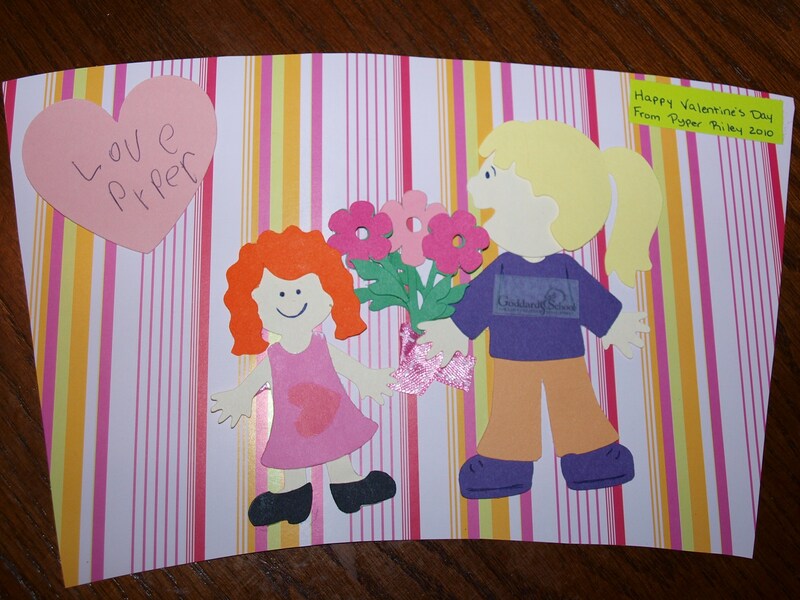 Pyper, our oldest pea, wanted to give her teachers something special this year for Valentine’s Day. 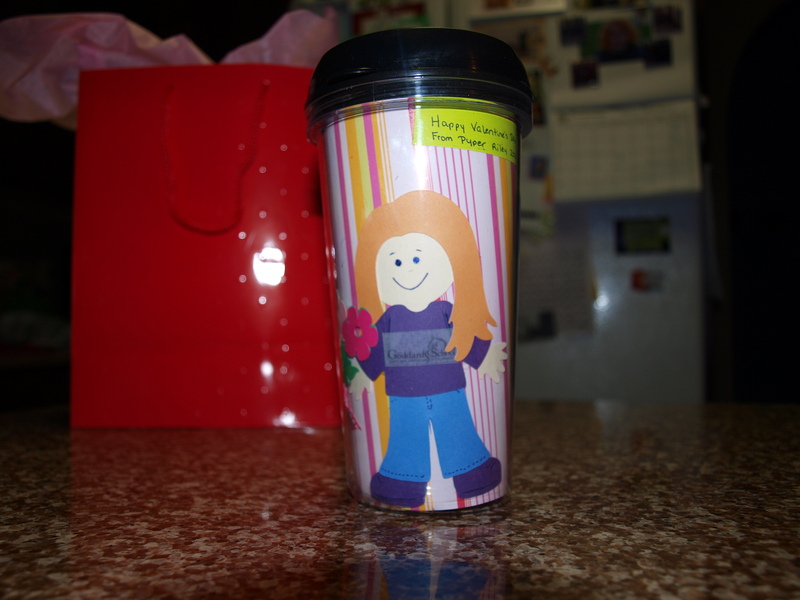 I had the perfect project….I had bought some mugs from Oriental Trading Company to make mugs for her teachers at Christmas unfortunately I ran out of time. 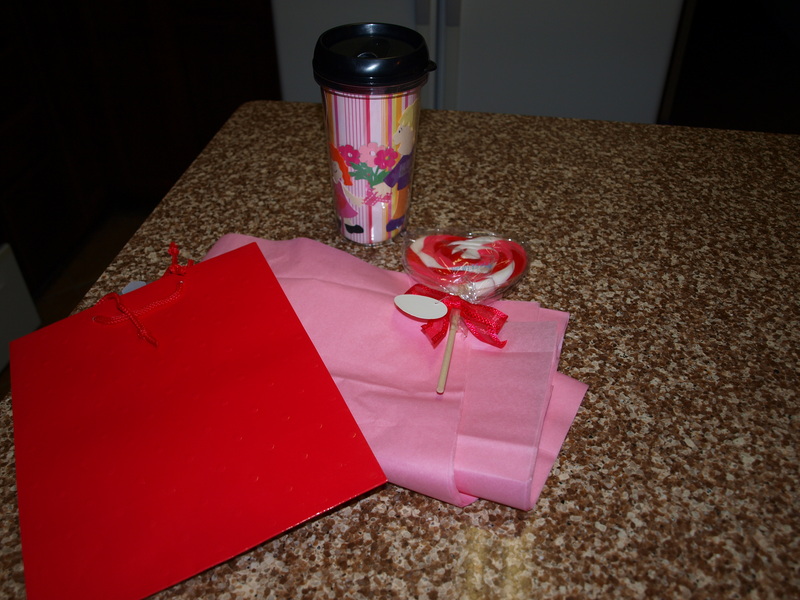 So Valentine’s mug it was! After Pyper told me what she wanted on the mugs her handing her teachers flowers it was pretty easy. 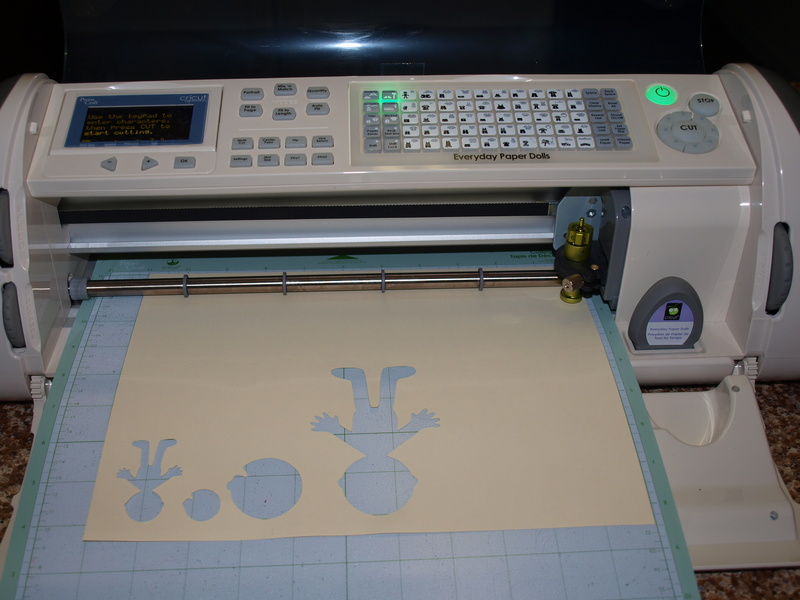 It always starts with the cricut expressions we used the Everyday Paper Dolls, the other Paper Dolls  and the Walk in My Garden cartridges. Pyper had a great time telling me what she wanted to wear and what her teachers usually wear, I got online for the school symbol to put on the teachers’ sweatshirts. She has two teachers so we made two mugs. 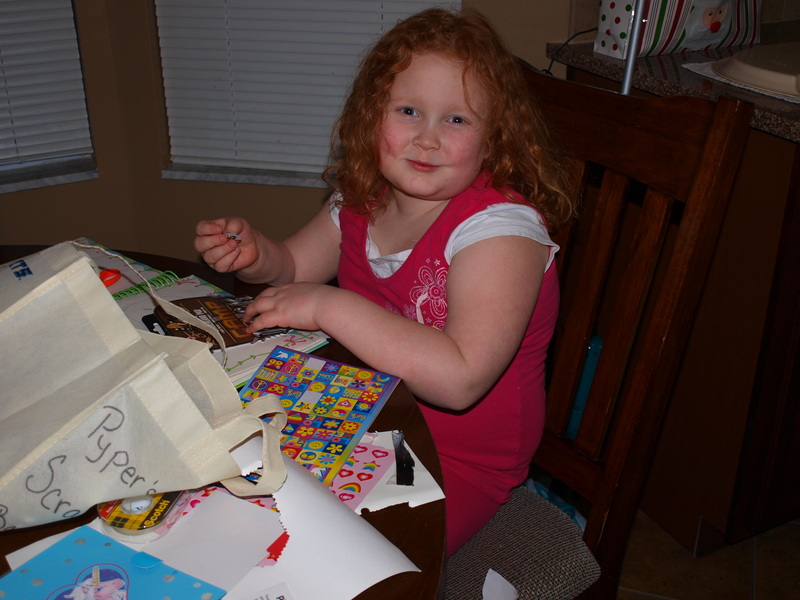 She helped a lot with getting the paper dolls ready and was so sweet thinking about her teachers. Once we had all of our pieces cut out I was able to start putting them together by this time Py was in bed this was taking longer than I thought it would! 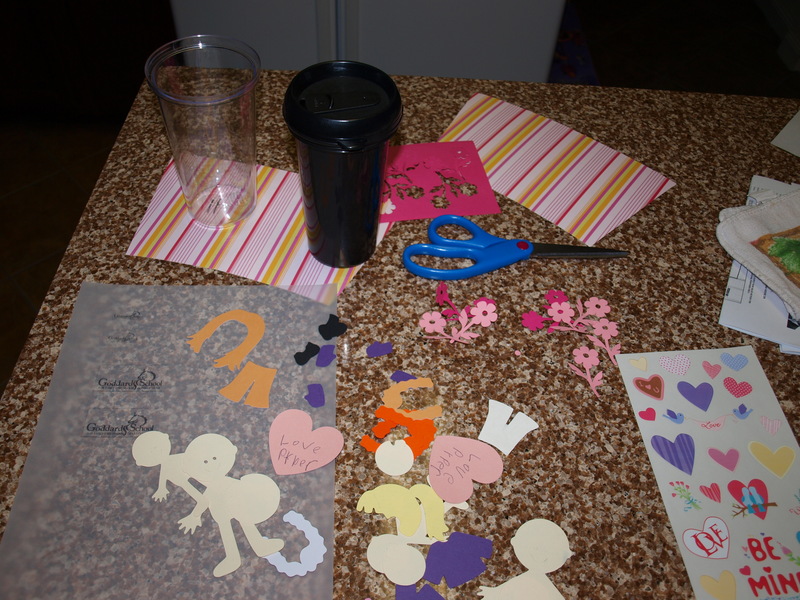 Then I was able to put the paper in the mugs and wallah! 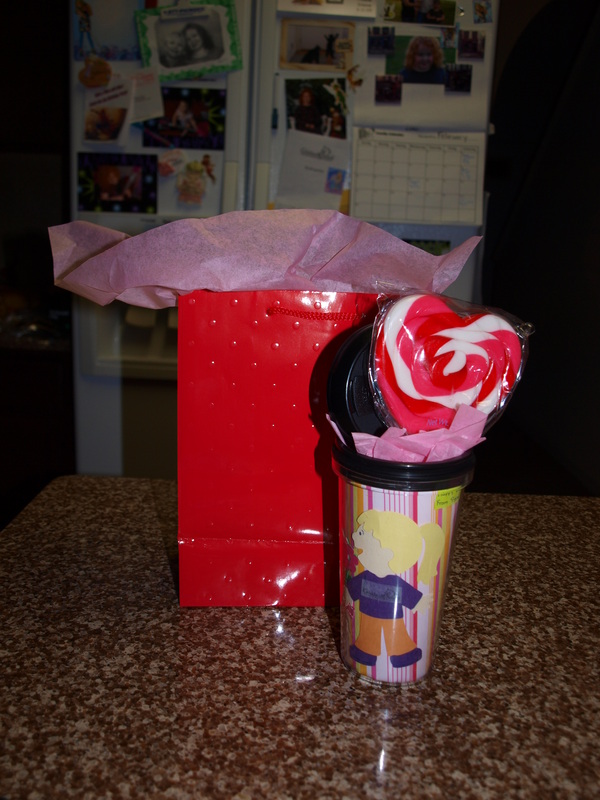 Pyper’s Valentines Mugs…I couldn’t wait to show her in the morning. We made it all pretty in the bags and she is good to go! Here’s a picture of the other teacher just so you can see! 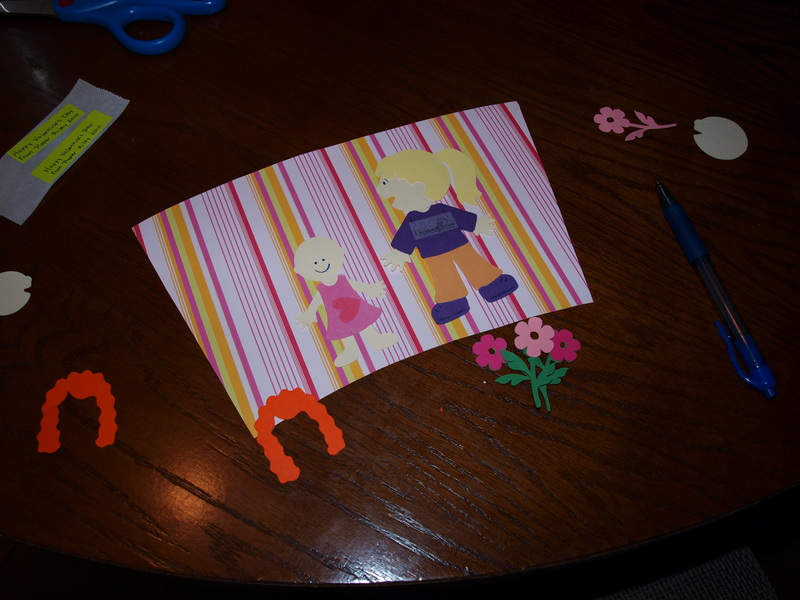 This entry was posted in My girls, Scrap Addicts Anonymous, Uncategorized. Bookmark the permalink.